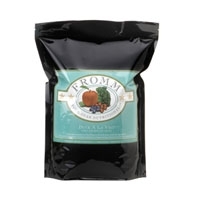 Fromm | Castleton Pet Supply, Inc. 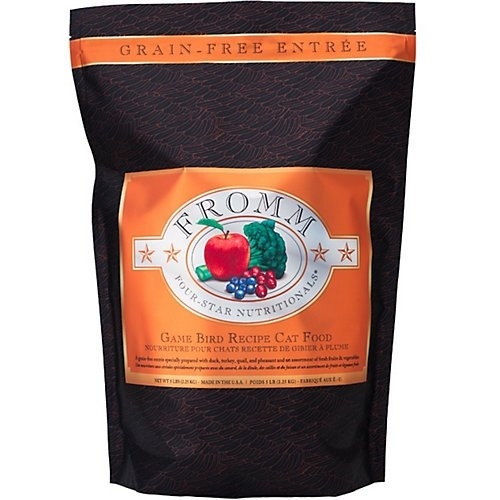 Joining its canine counterpart, Fromm Game Bird Recipe for cats is a mouth-watering grain-free entrée specially prepared with duck, turkey, quail and pheasant together with real Wisconsin cheese and an assortment of fresh hand-selected fruits and vegetables. For less active adult cats, senior cats, and cats trying to safely lose weight. 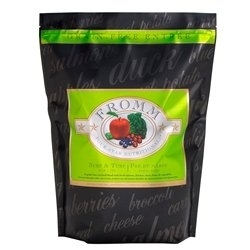 Naturally formulated with duck, chicken, liver, whole eggs & real Wisconsin cheese. 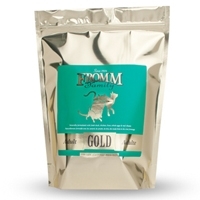 In addition, we enhance our Gold recipes with probiotics to aid digestion and salmon oil for a healthy coat. For normally active adult cats. Naturally formulated with duck, chicken, liver, whole eggs & real Wisconsin cheese. 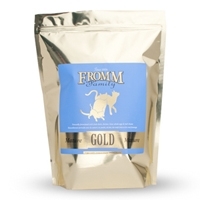 In addition, we enhance our Gold recipes with probiotics to aid digestion and salmon oil for a healthy coat. 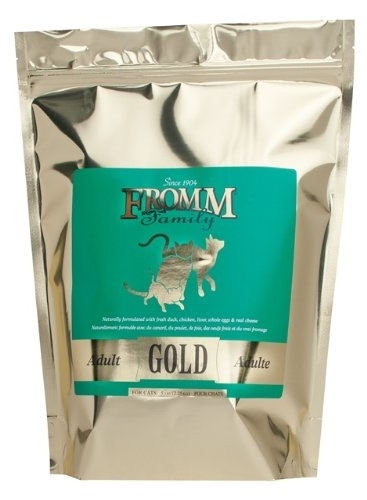 Fromm Gold Adult Cat 15 lb. 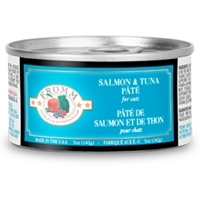 Finely minced salmon, and tuna simmered in natural salmon broth.